The Smartphone market has been flooding with 5 to 5.5-inch smartphones. 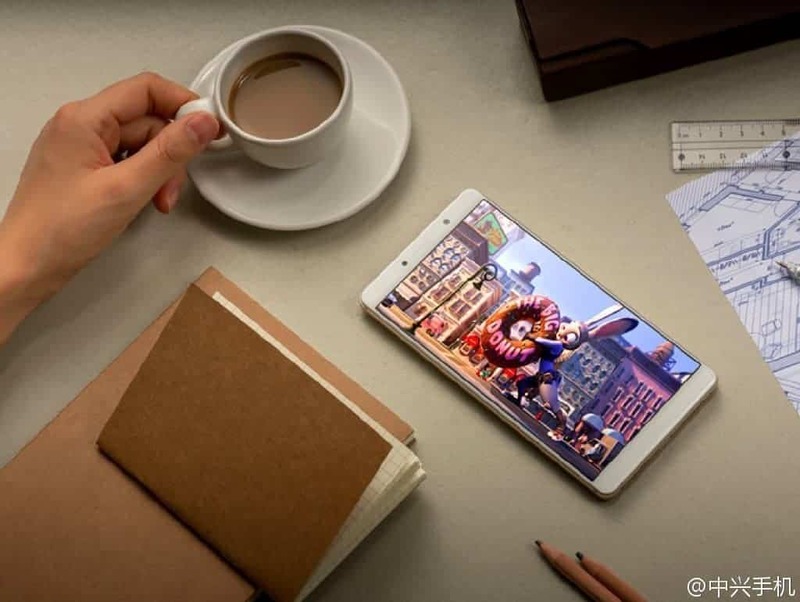 Some people satisfy with the 5.5-inch smartphone screen to play games and watching HD videos. But some users who love big screen never get satisfied with a 5.5-inch device. So, we created a list of 6-inch smartphones of 2016 and now it’s time to create a list of smartphones released in 2017 with the screen size of 6 inches. We’ve not included the 7-inch devices, as mostly they are Tablets or hybrid smartphones or phablets. Mainly they lack many aspects of a being called as a smartphone. So, we’re considering the 6-inch smartphones section as “the precious” for the big screen lovers. In this article, we have listed five of the best 6-inch smartphones of the year 2017. So, let’s get started! Samsung Galaxy S8 Plus is the best smartphone in 2017 in every aspect. From the design to the hardware, it is the best. The screen size is 6.2-inch, and the resolution is 1440 x 2960 pixels. It has the best screen resolution for the above 6-inch smartphones. This smartphone is built with Corning Gorilla Glass 5 as a protection for the screen as well as the back panel. It has IP68 waterproof and dustproof certification. It is running Android 7.0 Nougat on board and optimized with TouchWiz UI. Under the hood, it has a Snapdragon 835 Octa-core processor, Adreno 540 GPU, and 4GB RAM. The internal storage is 64GB and external storage is expandable up to 256GB via microSD card. The rear camera has a 12MP sensor featured with OIS, PDAF and LED flash. It supports simultaneous recording of 4K video and 9MP image recording. The front camera has an 8MP sensor, and it can record videos at 1440p at 30fps. This smartphone has a 3500mAh battery. 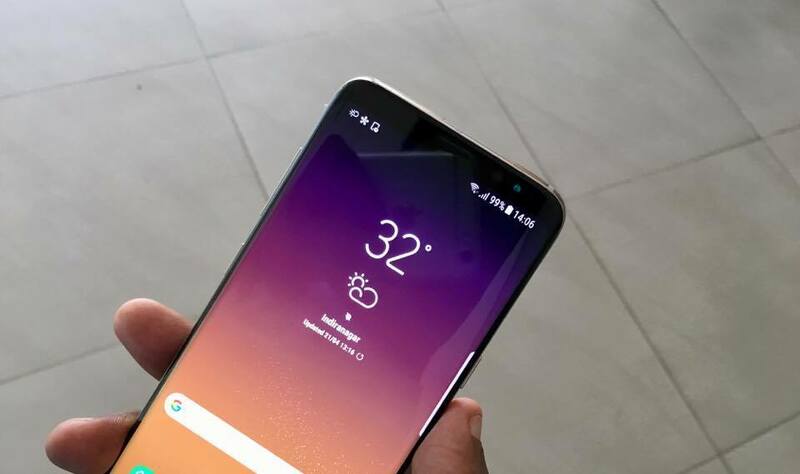 Samsung Galaxy S8 Plus has a lot of technical features and user-friendly features. It is the best 6-inch smartphone of the year 2017. 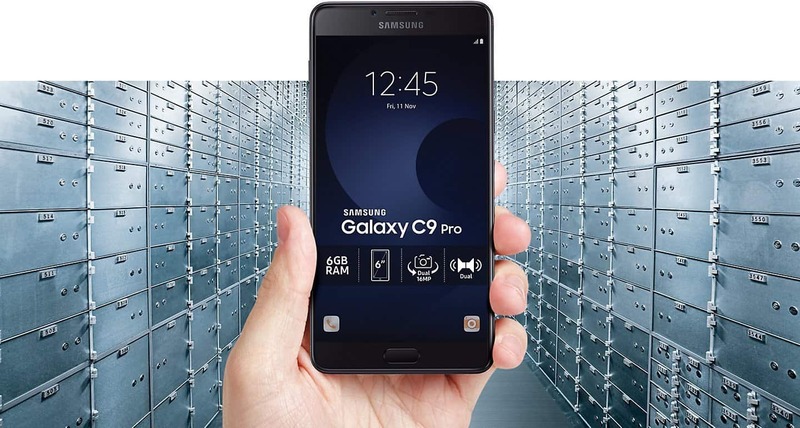 Samsung Galaxy C9 Pro is the next best 6-inch smartphone in the market. There is nothing unique in the design. It follows the pattern of other mid-level Samsung smartphones of the past. The screen size is exactly 6-inch and has 1080p resolution. It uses the Super AMOLED display which is protected by Corning Gorilla glass. A Qualcomm Snapdragon 653 Octa-core chipset coupled with Adreno 510 GPU powering this smartphone. It has 64GB of internal storage and 6GB of RAM. The selfie shooters may love this phone because of the 16MP front camera. The rear camera also has the same 16MP sensor along with PDAF and dual LED flash. A 4000mAh non-removable battery powers this smartphone. A front-mounted fingerprint scanner is available and which can be used as a home button as well as to unlock the device. Oppo F3 Plus is a mid-level smartphone with a 6–inch screen. It comes with IPS LCD and 1080p resolution, and Corning Gorilla Glass 5 adds more value to the wide display. Like the Samsung Galaxy C9 Pro, this one also carries Snapdragon 653 Octa-core processor and Adreno 510 GPU. Coming to the RAM and Storage section, Oppo F3 Plus has 4GB of RAM and 64GB of internal storage. The microSD card slot is available and using which the users can add up to 256GB storage. The cameras are special in Oppo F3 Plus. The 16MP rear camera features PDAF, OIS, and dual Led flash. The front camera has dual sensors which are 16MP and 8MP. The battery capacity is 4000mAh which is above the average level. The VOOC flash charge helps in quick charging the battery. 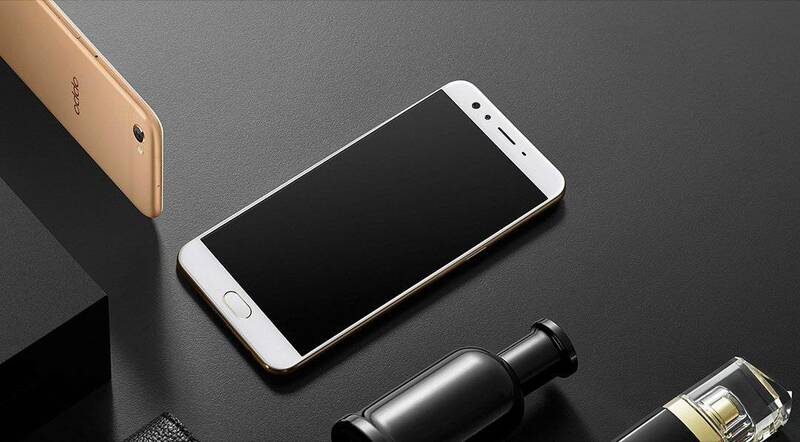 While the Samsung Galaxy S8 Plus and C9 Pro use USB 3.1 port, Oppo F3 Plus uses micro USB 2.0. It is the con in Oppo F3 Plus, compared to the above smartphones. ZTE Axon 7 Max is another good choice in the 6-inch screen category. It is an average mid-level performer regarding hardware and memory-related specifications. The display is made of IPS LCD, and it has an exactly 6-inch screen with 1080p screen resolution. There is no corning gorilla glass for protecting the 6-inch display. It runs Android 6.0 Marshmallow with the MiFavor 4.0 user interface. The hardware of ZTE Axon 7 Max are Snapdragon 625 Octa-core processor and Adreno 506 graphical processing unit. It has 4GB of RAM and 64GB of internal storage. (There is another version of this smartphone available with 2GB of RAM and 16GB of internal storage, which is not good in performance). It has a dual camera in the rear which has 13MP with Phase detection, Laser Autofocus, and dual LED flash. The front camera featured with a 13MP sensor. The powerhouse of this phone is a 4100mAh battery with fast battery charging feature. The connecting port is a USB Type C 1.0 reversible connector. It has a rear-mounted fingerprint scanner. 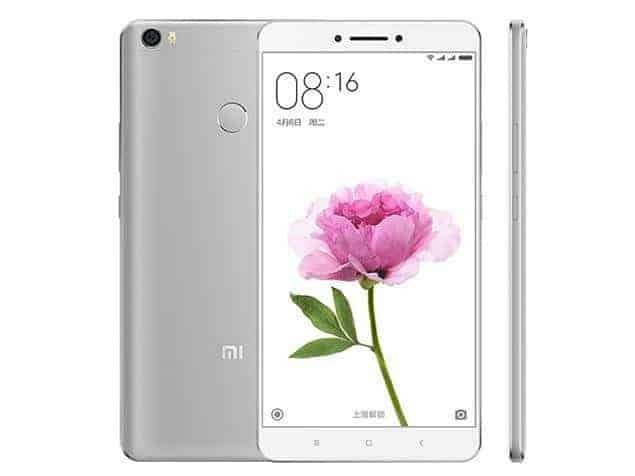 Xiaomi Mi Max is a budget-priced 6.44-inch smartphone with an unbelievable specification in its price group. The display features are IPS LCD 6.44-inch screen with 1080p screen resolution. It got protection from Corning Gorilla Glass 4. The OS of Mi Max is MiUi 8 based on Android 6.0 Marshmallow. It is a small drawback. But, Mi Max 2 rumored in the media and we can expect the announcement anytime. It follows better specification than Mi Max. If you can’t wait for Mi Max 2, you can buy Mi Max. Mi Max features Snapdragon 652 Hexa-core processor, Adreno 510 GPU, 4GB RAM and 128GB internal storage. The camera in the rear comes with the 16MP sensor, PDAF, and dual LED flash. The front camera features only 5MP sensor. The battery capacity of Mi Max is impressively 4850mAh, but it lacks a fast charging feature. The charging port is micro USB 2.0. Overall, Xiaomi Mi Max lacks certain features, but it is the best value for money 6-inch smartphone. Mi Max 2 has better features and upgraded specification, which is a good choice than Mi Max. Samsung Galaxy S8 Plus is the best 6-inch smartphone in 2017. It has the best features and best display ever. None of the other four smartphones matches the S8 Plus at any standard. Samsung Galaxy C9 Pro is the second best choice. Mi Max and ZTE Axon 7 Max are mid-level performers and also lacks some advanced features. Oppo F3 Plus is good, but the price is not reasonable. ZTE Axon 7 Max and Oppo F3 Plus shares the same specifications in certain areas and there is no much difference in other specifications. But, the price of Oppo F3 Plus is too high compared to the ZTE Axon 7 Max.